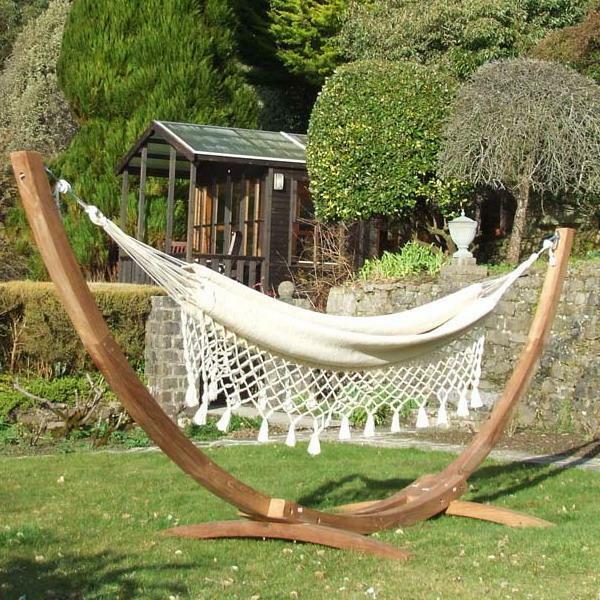 Adding a hanging hammock bed or chair to your garden design creates an interesting and attractive centerpiece for summer backyard ideas. 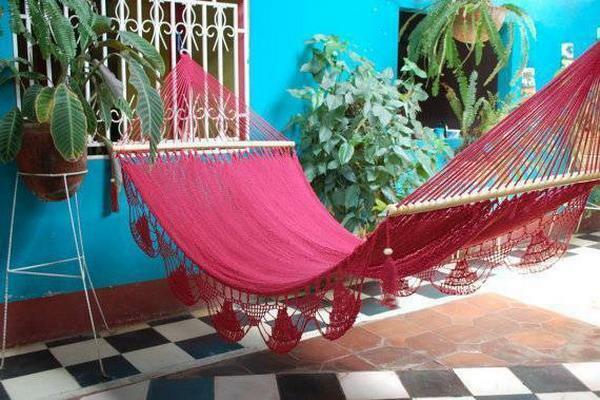 Hammocks provide relaxing spots to enjoy natural surroundings, beautiful garden designs and add flair to backyard ideas. 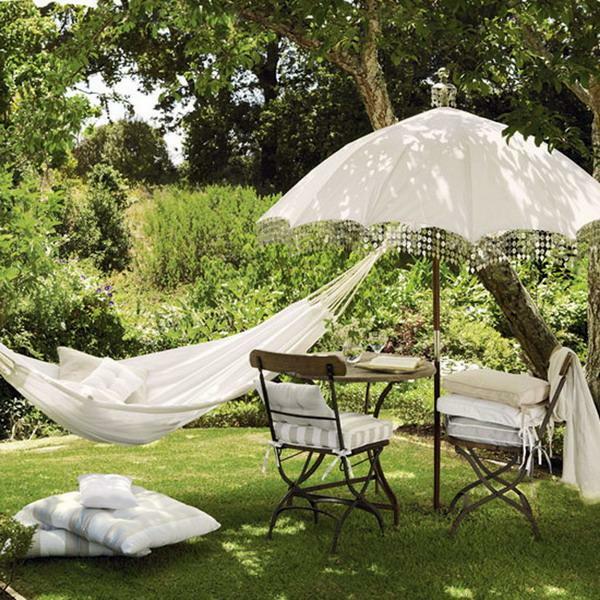 Good placement creates an inviting and cozy places to read, sleep or relax in your garden, and encourages you to stay longer outside breathing fresh air. 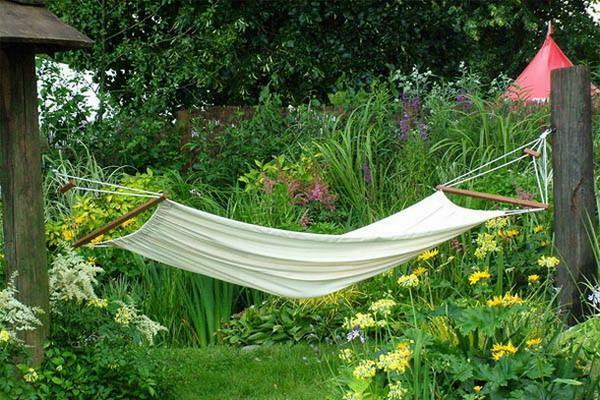 Adding a hammock bed or char brings more comfort into garden designs and beautifies backyard landscaping. 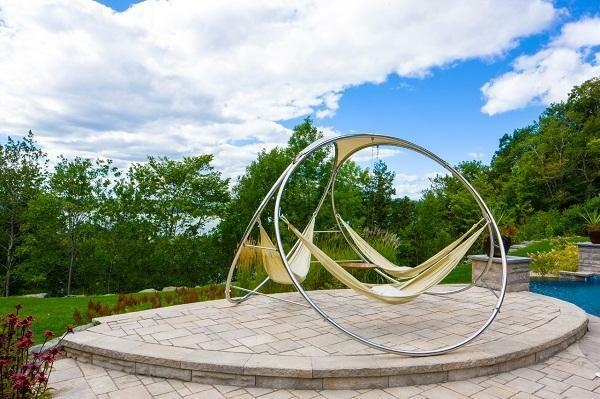 Ideally situated, a hanging hammock bed looks gorgeous on a free-standing frame, between tree trunks, on porches and balconies. 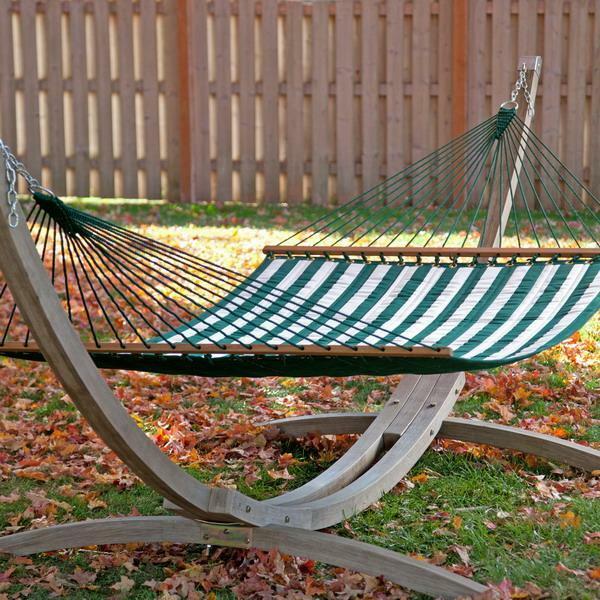 When you are considering adding a hammock to your backyard ideas, think about the sunny places and the shade to make sure your hammock is conveniently located. 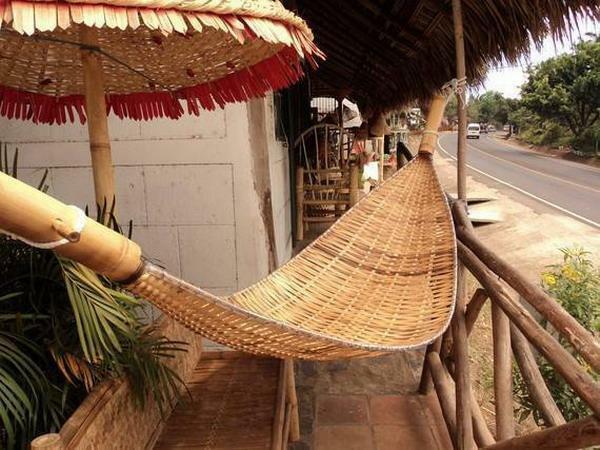 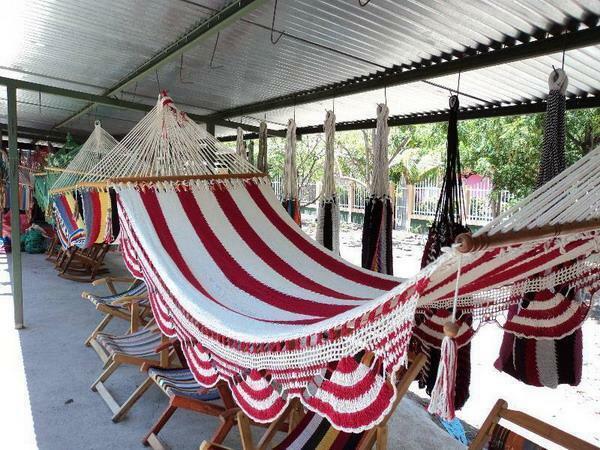 There are lots of different types of hammocks and hanging styles. 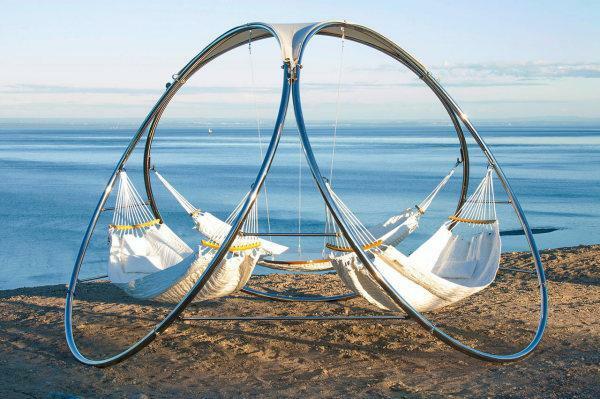 Modern hammocks vary in materials and designs. 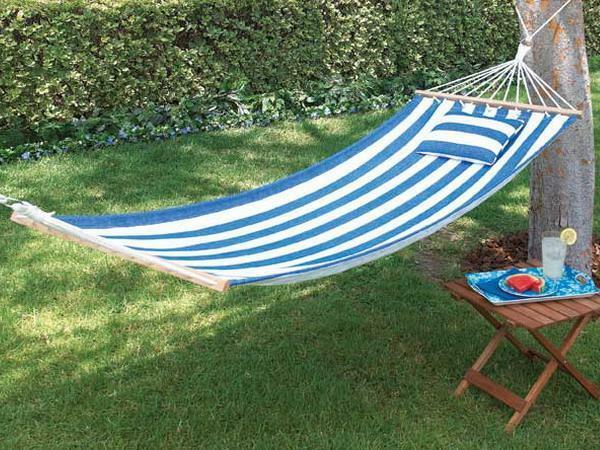 From mesh, canvas and weave, to simple beach hammocks made of natural fabrics and traditional rope hammocks, these outdoor furniture items are wonderful for summer decorating. 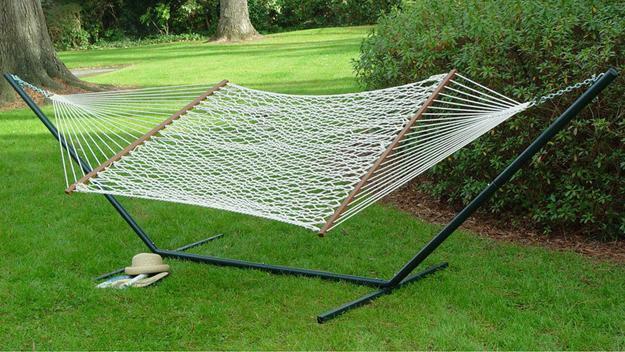 Modern hammock frames are made of metal or wood, offering great material combinations that can enhance your backyard ideas. 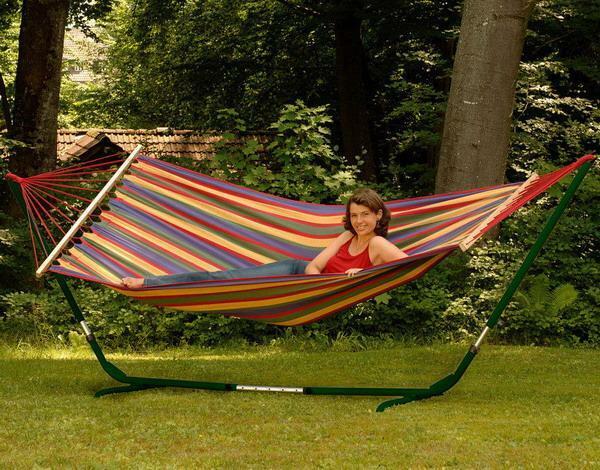 Hammocks come in various colors, which allow to create harmonious backyard ideas and coordinate your garden decorations adding charm and comfort to outdoor living spaces in summer. 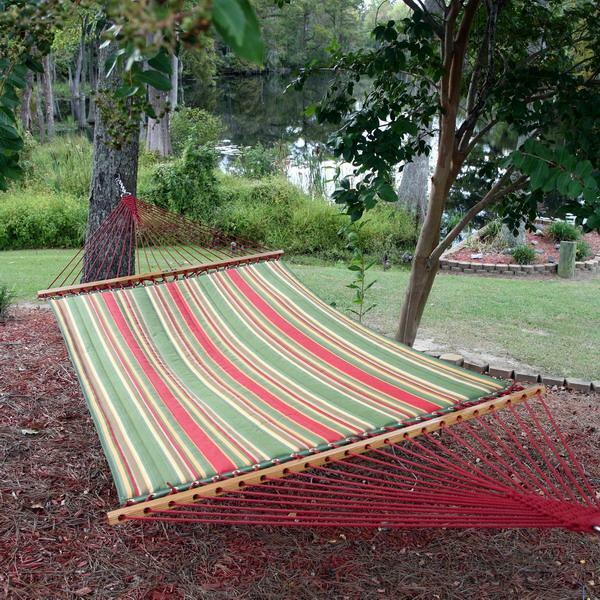 Altering your hammock look with pillows and a throw is an affordable and bright ideas for personalized, creative and comfortable outdoor home decor. 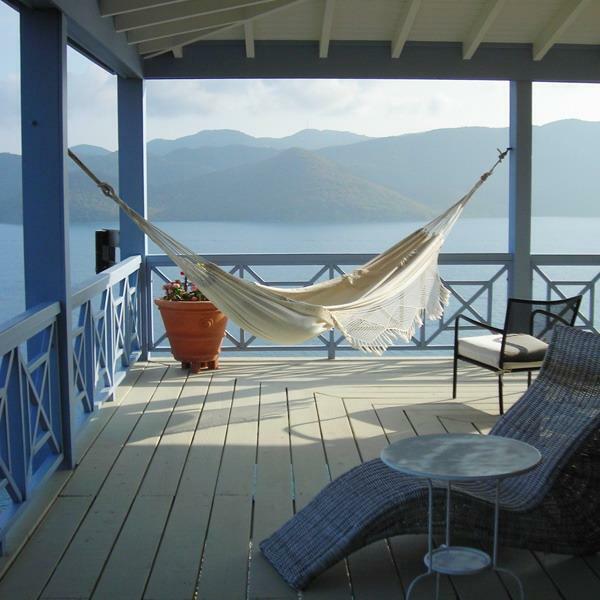 Hammocks are great for providing calming getaways. 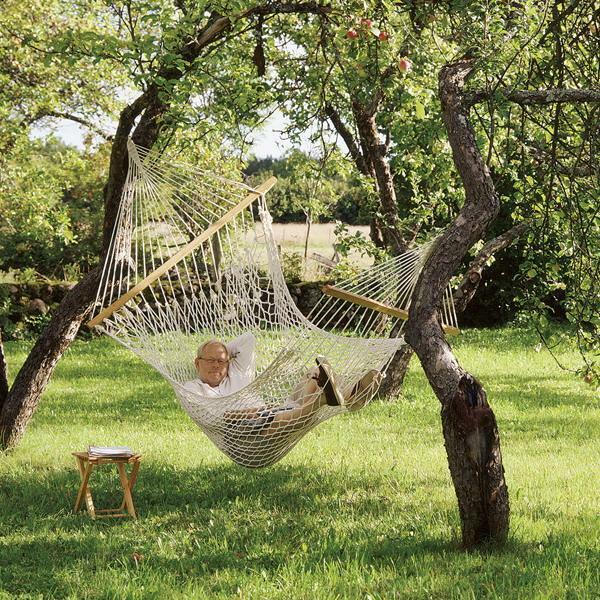 A hanging hammock creates a small and cozy retreat, an ideal escape in your own garden adding relaxing flair to landscaping and backyard ideas. 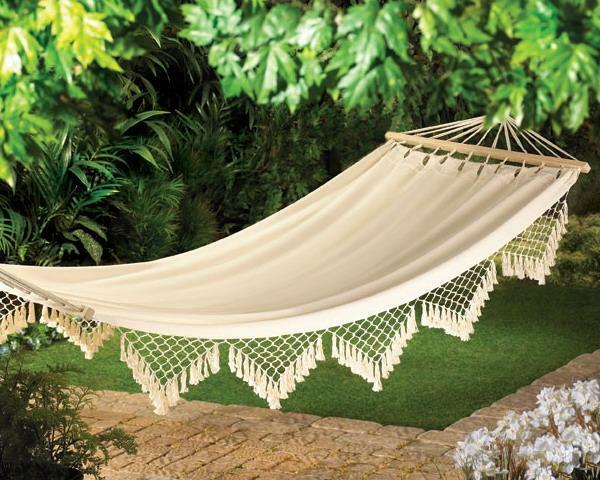 Apart from being amazingly comforting, a hammock swing or hammock chair can enhance your health while adding decorative accents to backyard landscaping. 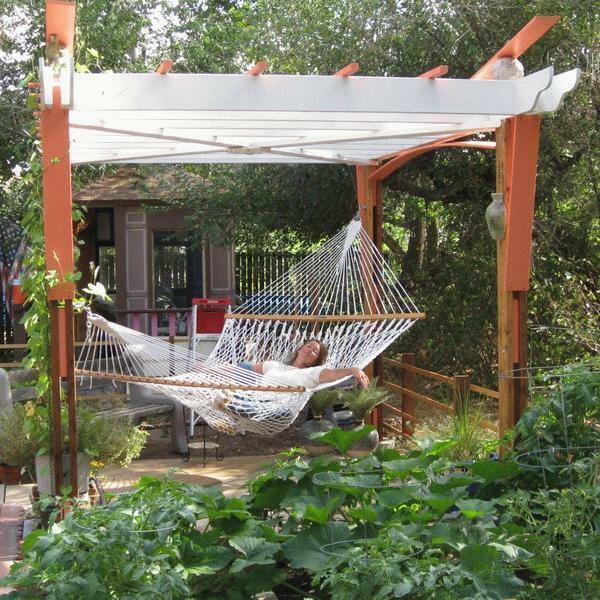 Hammocks are wonderful for turning garden designs into relaxing oases and adding welcoming feel to backyard ideas. 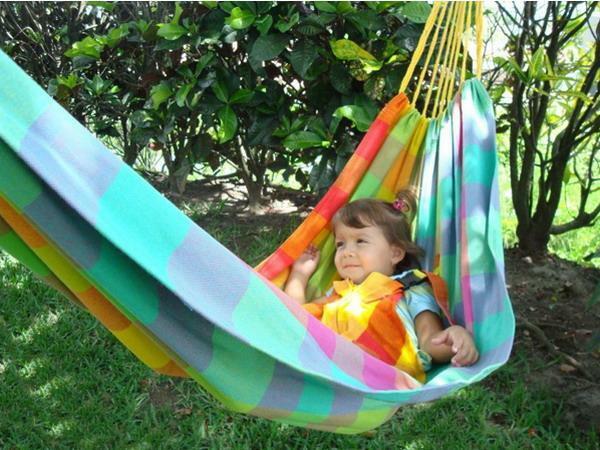 Cotton and polyester hammocks are comfortable and attractive, but natural fabrics provide true relaxation. 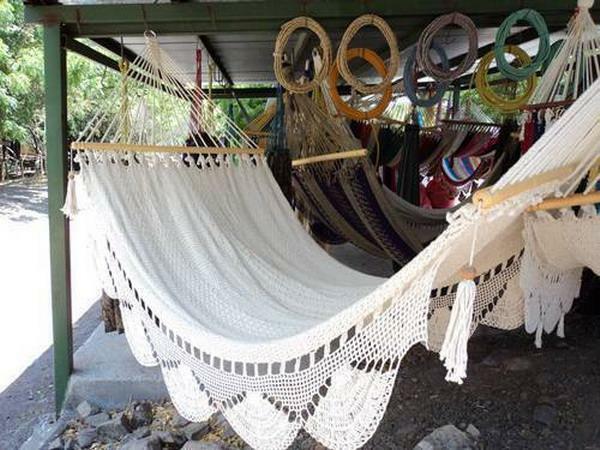 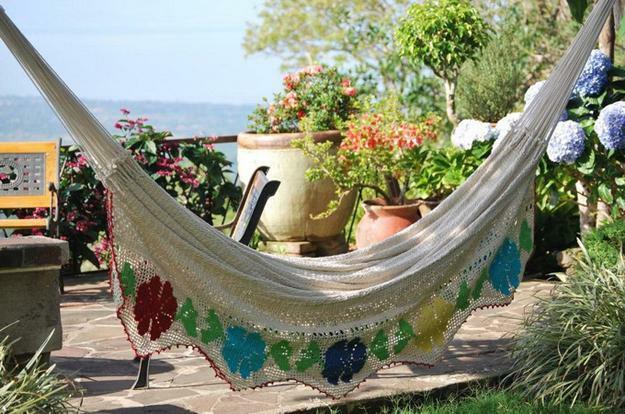 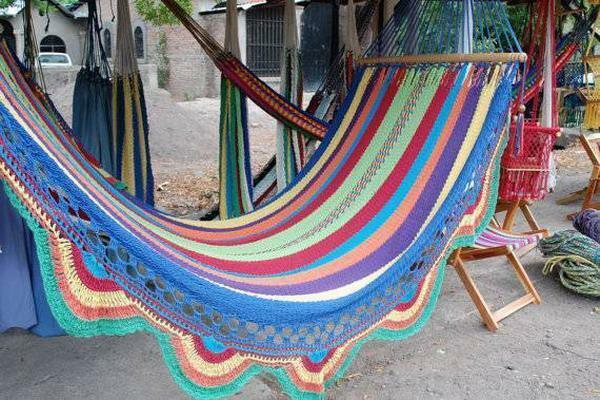 Hammocks made with natural fabrics and fibers conform to the shape of your body and create a better surface to lie on. 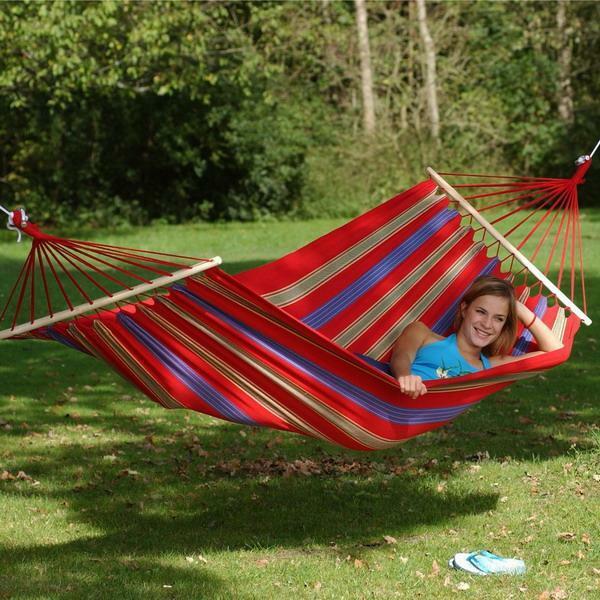 Rope hammocks are great for practicing relaxation exercises, like yoga or meditation. 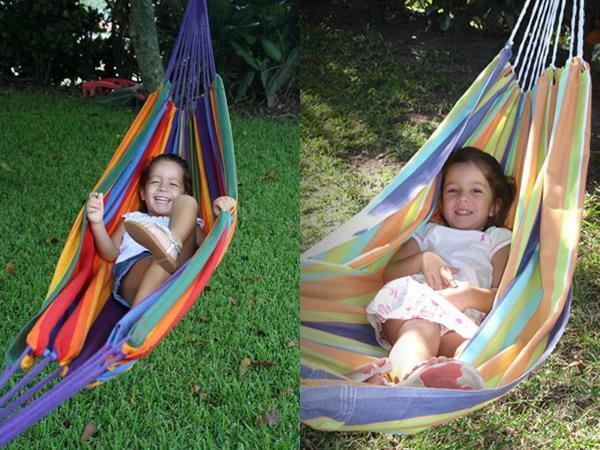 Hammocks and swinging chairs offer an alternative to sitting on a yoga mat or a cushion. 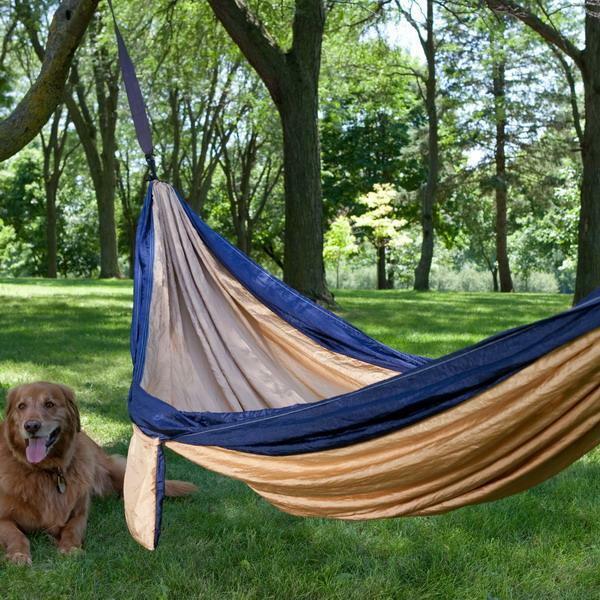 Hammocks with a canopy and netting protect you from bugs and heat. 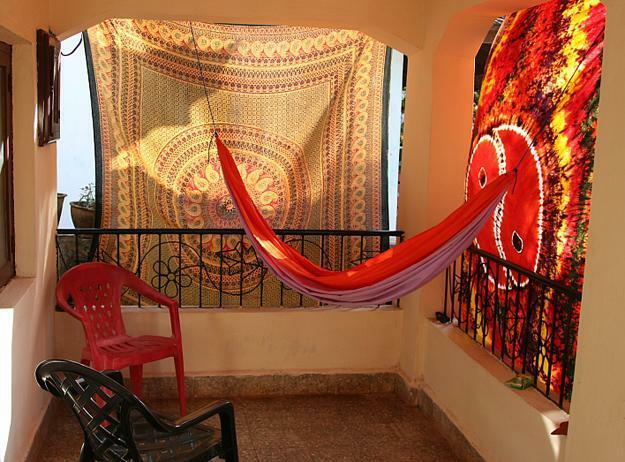 Handmade sun shades and canopy designs are inexpensive and very functional option also. 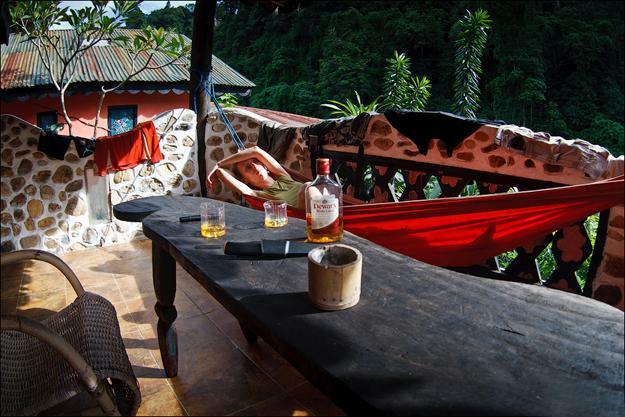 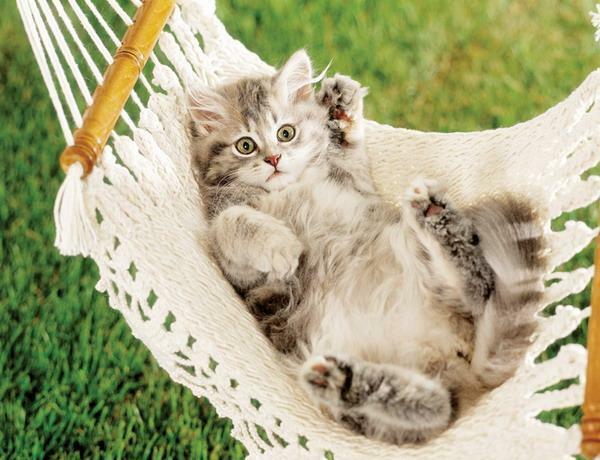 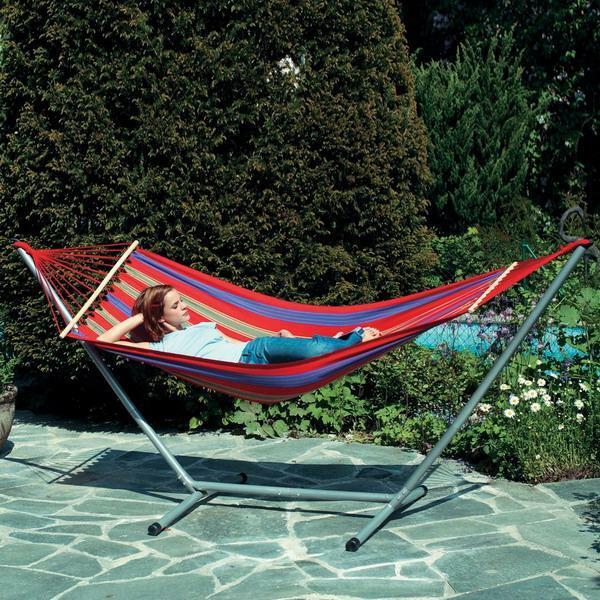 A rocker kit, a fabulous pulley system, enables you to softly rock your hammock while you are reclining on it. 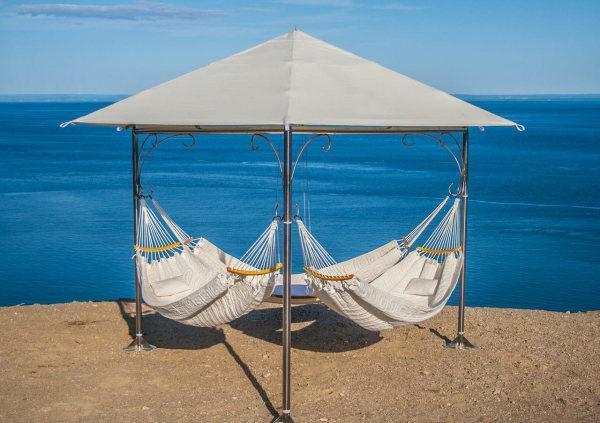 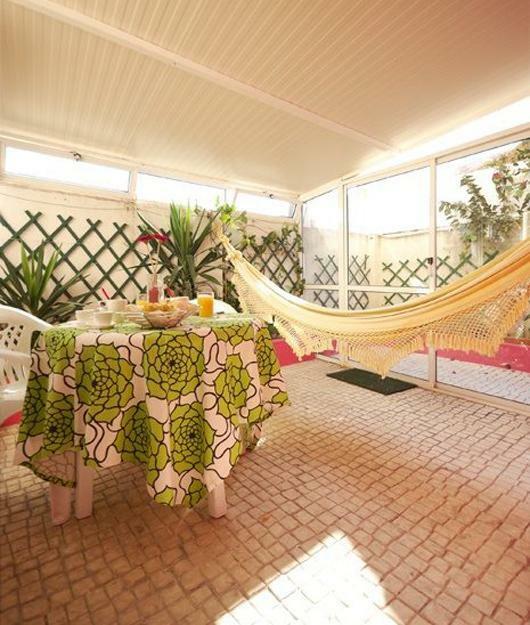 Hammocks are comfortable and elegant when properly placed and decorated with cushions, sun shades or canopies in personal style. 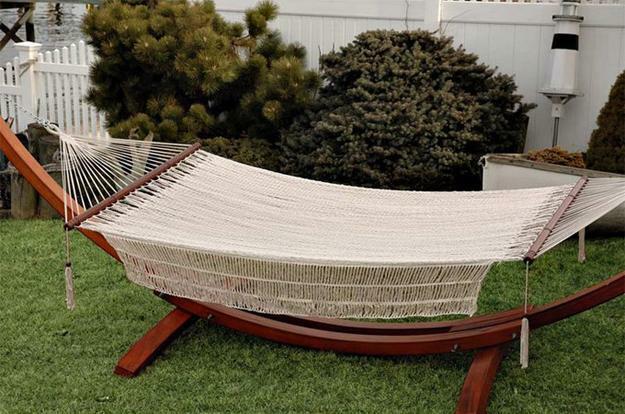 A hammock is a nice way to add elegant look to your backyard landscaping and enrich outdoor home decor. 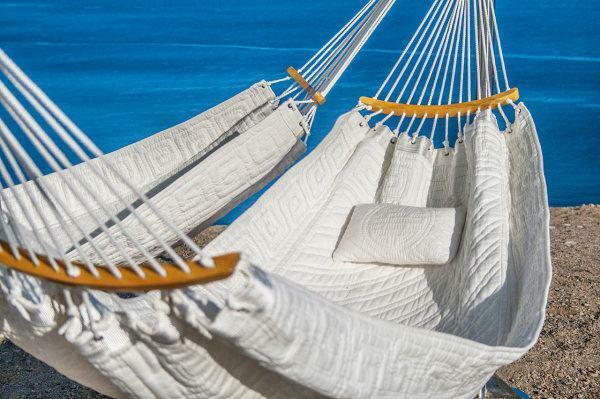 Comfortable pillows can make your hammock even more inviting, offering ultimate relaxation and creating beautiful outdoor living spaces. 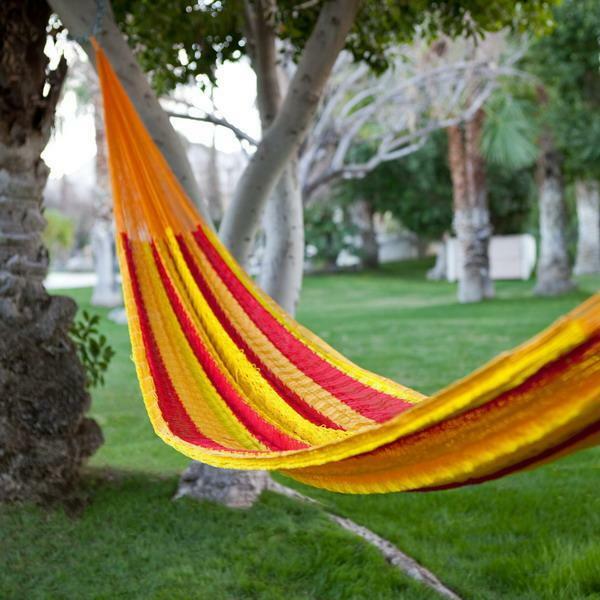 Hammocks enhance your backyard ideas with unique design and bright colors, adding charming accents to summer decorating.